Patients are no longer confined to bed when trying to heal bedsores. 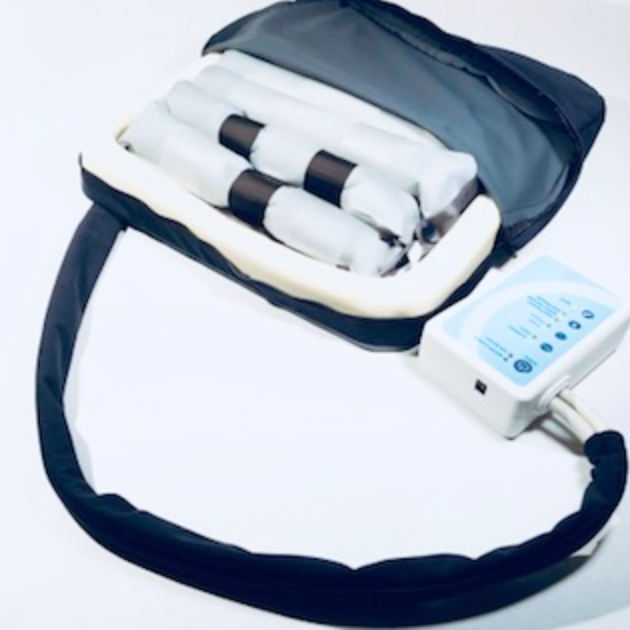 This alternating pressure cushion gives your patient the freedom to move out of the bedroom. This pressure relief air cushion has 6 cells and has more alternating pressure surface area than other cushions. The pump is rechargeable and lightweight and can be attached easily to a wheelchair. The adjustable pump allows the patient to adjust the the firmness and softness of the cushion with a push of a button. 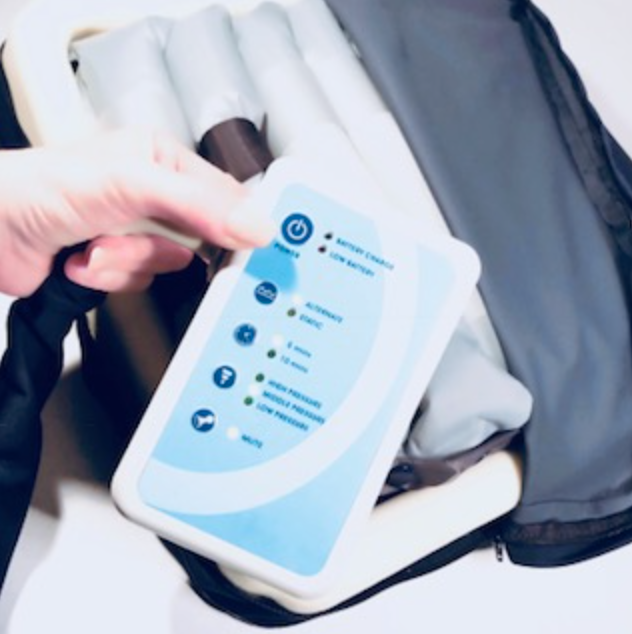 The adjustable cycle time function is ideal for pain management allowing 5 and 10 minute adjustments to the alternating pressure therapy. 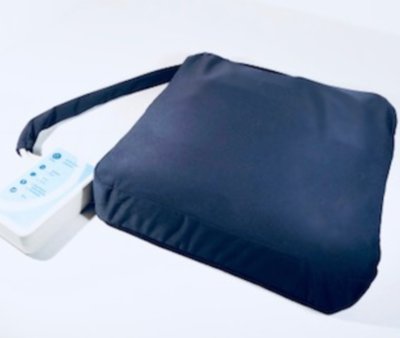 This cushion is the perfect day time solution providing the patient pressure relief while not being confined to bed.